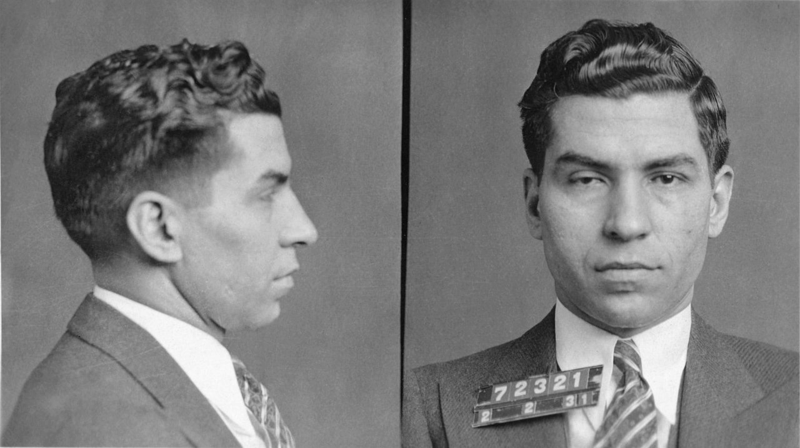 Charles "Lucky" Luciano as he was eventually known by was born Salvatore Luciana on November 24th 1897 on the island of Sicily off the coast of Italy. Luciano's parents were Antonio and Rosalia Luciana, his father worked in the Sulfur mines on Sicily. In 1907 when Luciano was 10 years old he and his family immigrated to New York City in the United States of America. Here they settled in the common Italian immigrant community on the Lower East Side of Manhattan. His family came here hoping to make a better life, however, they were initially very poor and lived in the burgeoning ghetto of New York. At the age of 10 Luciano was arrested for shoplifting. Luciano went to school until he was 14. He dropped out and started delivering hats, earning about $7 a week. Soon Luciano won $244 in a dice game on the streets and he quickly saw a more lucrative opportunity to make money. Quitting his hat selling job he started earning money on the street. After quitting his job selling hats his parents sent him to the Brooklyn Truant School to try and reform his ways. However, this did nothing to stop a young Luciano and he started his own gang. Luciano was an innovator, instead of petty crime Luciano offered protection to Jewish kids from the other Italian and Irish gangs for about 10 cents a week. Between 1916 and 1936 Luciano was arrested twenty five times from charges ranging assault to gambling, blackmail and robbery however, he was never convicted of a single crime. Luciano became friends with his future business partner and consigliere in La Costa Nostra, Meyer Lansky along with Benjamin Siegel during this period after he tried to extort them. Lansky retaliated against Luciano's extortion and he soon realized he may make a better friend than an enemy. When Luciano was 18 he was sentenced to six months at the Hampton Farms Reformatory for selling heroin and morphine. When he was released he went on to join the Five Points Gang where he would meet all of the men and friends that would help assert control over La Costa Nostra so many years later. 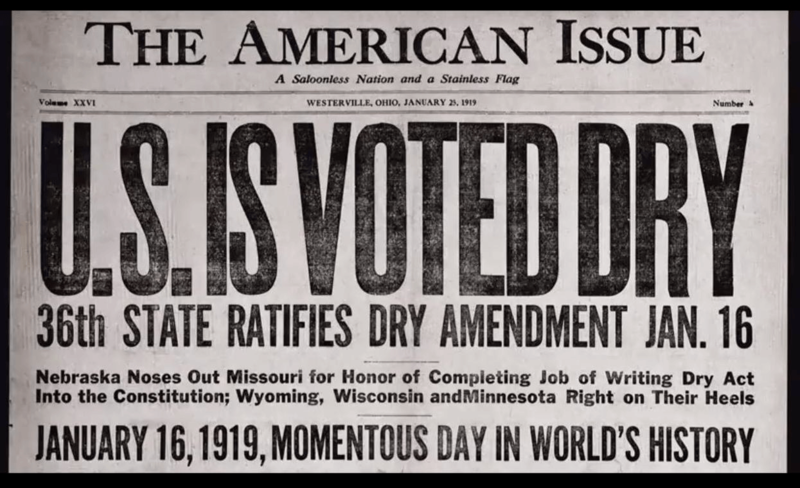 When Prohibition was ratified in 1920 under the 18th Amendment, it set of a cascade of power vacuums across the United States that resulted in the formation of organized crime. These organizations needed men to assist them with the extensive bootlegging and criminal enterprises the mafia was now to partake in as the demand for alcohol went nowhere. By 1920 Luciano ran a gang that included Meyer Lansky, Benjamin Siegel, Frank Costello and Vito Genovese. When Prohibition began in 1920 his gang began to take on new enterprises such as bootlegging and murder for other organizations. By 1922 Luciano and his gang may have been involved in the murder of Umberto Valenti for the Masseria Organization. However at some point during the early 1920's, Luciano stopped working for Masseria and he and his group were taken under the wing of Arnold Rothstein. Rothstein looked at Prohibition as a business opportunity and used his immense wealth to establish a bootlegging operation. Luciano learned how to treat crime and bootlegging like a business and soon along with his partners Frank Costello and Vito Genovese started their own bootlegging operation that was to be backed financially by Rothstein. Rothstein always supported Luciano and served as an important mentor for him during his formative years. In 1923 Luciano was involved in a drug deal that went horribly wrong and it ended up ruining his reputation within the criminal community. Under Rothstein's guidance he bought 200 seats to the Jack Dempsey–Luis Firpo boxing match, a huge and expensive gesture at the time and gave them to the top gangsters and politicians. In order to prepare him for the fight, Rothstein took Luciano to Wanamaker's Department Store in Manhattan in order to dress in a proper, expensive suit. According to Luciano, it was Rothstein who taught him how to dress properly. The gesture to the criminal elite worked and Luciano was given his status back within the world. “There’s no such thing as good money or bad money. There’s just money. Under Rothstein's supervision Luciano had the largest bootlegging operation in New York and his power and influence extended into Philadelphia. By 1925 Luciano was grossing over $12 million a year from a wide variety of sources including drug dealing and bootlegging. About $8 million of that income went to bribing politicians and police, with Luciano receiving about $4 million for himself. From 1925 to 1928 Luciano imported Scottish Whiskey from Scotland, rum from the Caribbean and whisky from Canada. He even began to get involved with Rothstein's illegal gambling enterprises. 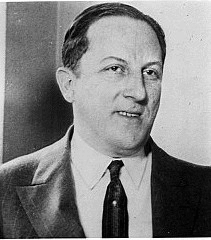 However in 1928 when Arnold Rothstein was murdered over a gambling dispute, Luciano realized it was in his best interest to rejoin Joe Masseria and quickly paid tribute. With his extensive wealth and bootlegging operation from Rothstein, Luciano was given a top spot within Joe Masseria's organization. However Masseria was nothing that the boss Rothstein was. Masseria was one of the "Mustache Petes", a traditional and Old World mentality boss that had already been criminals in Italy before they immigrated to America. He was rude, ignorant and did not treat crime as a business as Luciano was used to. The Old World bosses refused to work with non-Italians and this clashed with Luciano who had already been working with many Jewish and Irish gangsters. Luciano began to get fed up with the Old World mentality as they criticized him for associating with Frank Costello, one of his lifelong friends. Luciano joined Masseria right as the Castellammarese War was gearing up. The gang war lasted between 1928 and 1931 and resulted in over 60 gangster deaths. Luciano would use this war to seize power and lay claim to the mafia for himself, all while promoting ideas of democracy and equality. Luciano had always been more liberal in his recruitment of other ethnic gangsters, and soon this new gang would become known as the Young Turks. They were a different generation than their Old World mobsters. They believed that all of the different gangs could combine their resources and solve disputes internally which would create a lucrative business for everyone. As the war progressed, Luciano saw an opportunity to replace the Old Guard with one more favorable to their ideas of treating crime as a business. As the Castellammarese War gained ground many mobsters including Frank Costello, Albert Anastasia, Joe Adonis, Joe Bonnano, Carlo Gambino, Joe Profaci, Tommy Gagliano and Tommy Lucchese. These mobsters soon began to outnumber the Old World and they began to blame their problems of staying poor on the conservatism of their bosses. In October of 1929, Luciano was abducted at gun point into a limousine by three gangsters. He was beaten, stabbed and left on a beach in State Island to die. However he survived and was forever marked with his signature scar and droopy eye. Police picked Luciano up and questioned him about the incident, to which he told them they did it. This incident introduced Luciano to the American public, and it was likely Masseria ordered the beating in order to put a young up-start Luciano in his place. It could have also been Maranzano for Luciano being aligned with Masseria during the Castellammarese War or rival narcotics dealers. In May of 1929 Luciano and Lansky organized the Atlantic City Conference along with Enoch Johnson and many of the other power gangsters throughout the country. This meeting was a historical meeting that did not include Maranzano and Masseria, a sign of things to come as the new, American born and raised gangsters did not appreciate the ideals and conservatism of their Old World bosses. These new Jewish, Irish and Italian gangsters saw the potential for the development of a national, multi-ethnic criminal empire that would even extend itself 50 miles south of Florida in Cuba. Luciano would return to join Masseria as the Castellammarese War really took off and bide his time until he could make his move. After a few brutal years of the Castellammarese War, Masseria was finally on the ropes. The war had been going poorly for Joe and Luciano found himself increasingly caught up in the violence. In early 1931 Luciano hatched a plan to eliminate Masseria. This had most likely been in the planning stages since his abduction, but he needed to assert his control in the Atlantic City Conference in 1929 before he made his move. In a deal with Salvatore Maranzano, Luciano agreed to assassinate Masseria in exchange for his organization and becoming the second in command of the mafia. Maranzano acquiesced this request and Luciano got to work. On April 15th, 1931, Luciano invited Masseria and two of his associates to lunch on Coney Island at a restaurant called Nuova Villa Tammaro. Midway through the lunch Luciano put down his cards and excused himself to go to the bathroom. This was the signal for the hit men to enter and soon the rest of the Five Points Gang including Benjamin Siegel, Vito Genovese, Albert Anastasia and Joe Adonis entered the room and murdered Masseria and his bodyguards. 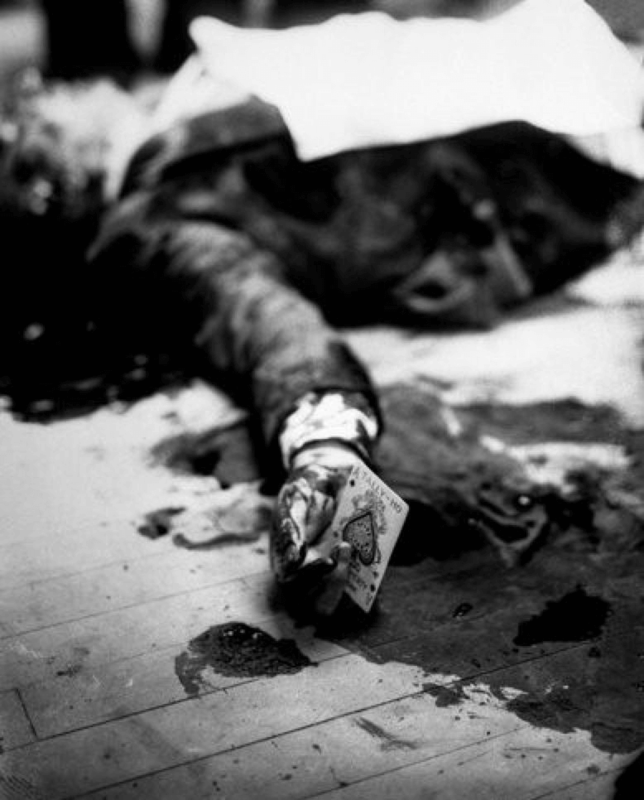 The infamous Ace of Spades signature was left at the scene of the murder and the restaurant owner was most likely in on it. Learn more about the Masseria murder here. With this murder the Castellammarese War was over and Maranzano asserted control over the entire American La Cosa Nostra. Luciano was given control over the Masseria organization and all of Manhattan in exchange for eliminating Masseria. With Masseria out of the picture, all of the Italian-American gangs in New York City were officially divided into the Five Families. These families were to be headed by Charles Luciano, Joe Profaci, Tommy Gagliano, Frank Scalise and Vincent Mangano. Each family would be free to make money and all would have an equal vote in all matters of issue. However, soon Maranzano called a meeting in Upstate New York in which he declared himself the boss of bosses, or "capo di tutti capi". He demanded that all families pay tribute to him and he also began claiming other families rackets as his own. Luciano saw this coming and soon came to believe Maranzano was even more greedy than Masseria had been. Luciano played along with the situation at first, however he soon became a threat to Maranzano and realized it may soon be his turn to take a dirt nap. By September of 1931 Maranzano began planning Luciano's assassination and hired an Irish gangster named Vincent "Mad Dog" Coll to do it. However, a Luciano supporter named Thomas Lucchese alerted Luciano to what was about to transpire. On September 10th, Maranzano invited Luciano and Vito Genovese to come to his office at 230 Park Avenue in the borough of Manhattan. Maranzano had been boss of bosses for only a few months, however this was to be his last official move. Luciano was immediately convinced that Maranzano planned to murder him then and decided to take preemptive action. Partnering with Meyer Lansky, Bugsy Siegel and their Jewish associates Bo Weinberg and Red Levine, Luciano set up a murder squad of people that Maranzano would not recognize. On a night called "Night of the Sicilian Vespers", the Jewish and possibly Irish hit men disguising themselves as government tax agents went into the office building and disarmed and killed Maranzano's bodyguards. Once Lucchese pointed out Maranzano, the other two stabbed Maranzano multiple times before delivering the coup de grace with their guns. On the way out of the building the hit men reputedly ran into Vincent Coll as he was going to meet with Maranzano to discuss Luciano's murder. After the murder there was arrangements made with various families so that there would be no revenge killings. Those that did not agree with the new order were removed. Luciano was now at the top of La Cosa Nostra along with his trusted advisor Meyer Lansky, Vito Genovese, Frank Costello and Benjamin Siegel. Over the next few days and months there were to be many more murders of Maranzano allies across the country. While some regard these as random, isolated events it is highly likely this could have been planned organized by Luciano and his associates that he made through the Atlantic City Conference in 1929. Samuel Monaco and Louis Russo were retrieved from Newark Bay with evidence of torture and Joseph Siragusa, leader of the Pittsburgh crime family was shot to death in his home. Then on October 15th, Joe Ardizonne, head of the Los Angeles crime family disappeared and was never seen from again. All of these mobsters were of Old World mentality and with them out of the way Luciano and his associates were free to organize crime across ethnic and state lines. After eliminating Maranzano from the picture, Luciano became the most prominent gangster in the country. He was the new boss of bosses, however he did not even want the position. Despite not wanting to flaunt the power, all of the rules, policies and activities of the New York families was directed through him. Luciano still controlled the previous Masseria organization in New York which controlled illegal gambling, bookmaking, loansharking, drug trafficking and extortion. Luciano also became very involved with the labor union activities that controlled most of the Manhattan waterfront. In addition to this they also controlled garbage hauling, construction, the Garment Center business and trucking. Next, Luciano set out to organize and consolidate all of the brothels in New York City. His new innovation was to set a flat rate and overwork the women so they could produce as much money as possible very quickly. However, this move was to be his downfall as while he had maintained a low profile with most of law enforcement, a young prosecutor named Thomas Dewey was beginning to build a case against him. After taking over La Cosa Nostra from Maranzano, one of the major things he did to the mafia organization was abolish the title of Capo Di Tutti Capi or Boss of Bosses instead of take the mantle for his own. He knew the position created friction and tension between the families and Luciano preferred to keep his power through alliances with the various families. Luciano was even in the process of abolishing the ceremony of becoming a made man or amico nostro until Meyer Lansky stepped and argued this tradition was necessary to promote obedience and order within the criminal underworld. Luciano did stress the importance of the code of Omertà. Luciano also kept the previous five families that Maranzano had recognized, and he elevated his trusted associates to high levels in the now Luciano crime family, previously known as the Masseria organization. 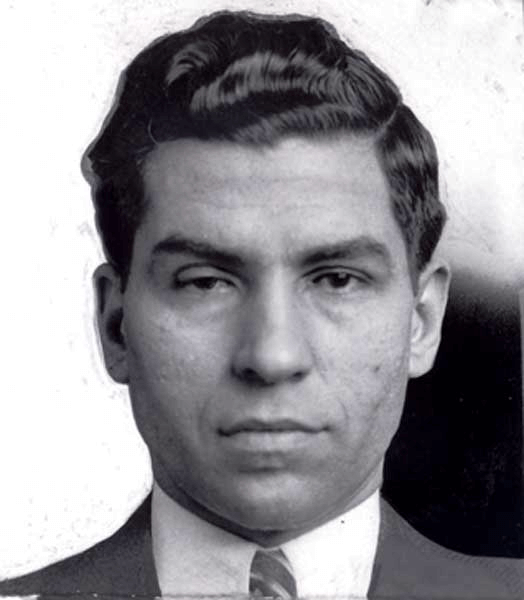 Luciano promoted Vito Genovese to underboss and Frank Costello to his consigliere. Luciano also promoted Michael "Trigger Mike" Coppola, Anthony Strollo, Joe Adonis and Anthony Carfano to his caporegimes. Because Meyer Lansky and Benjamin Siegel were not Italian they could not hold an official position within La Cosa Nostra, however they continued to be top advisors and associates to Luciano throughout his life. In addition to reorganizing La Cosa Nostra, one of Luciano's greatest innovations was the development of an internal dispute resolution system known as the Commission. This was created under the guidance of former Chicago Outfit boss Johnny Torrio. The Commission was to serve as the governing body for organized crime and to prevent future gang wars. The Commission was initially created with the heads of the Five Families of New York City along with the heads of the Philadelphia, Buffalo, Los Angeles and Al Capone of the Chicago Outfit. Eventually the Detroit and Kansas City family were added to the group along with representation for the Irish and Jewish gangs of New York City. While in theory all families and groups were supposed to have an equal vote in all mafia matters, in reality some held much more power than others and had a wider influence to make decisions. The Commission's first big test came in 1935 when gang member Dutch Schultz wanted to murder federal prosecutor Thomas Dewey. While this may have solved Luciano's problems in the future, this death would have definitely brought significant heat on the mafia and he may have very well been replaced by someone much more zealous. During the early 1930s, Luciano's crime family started taking over small scale prostitution operations in New York City. In June 1935, New York Governor Herbert H. Lehman appointed U.S. Attorney Thomas E. Dewey as a special prosecutor to combat organized crime in New York City. Dewey soon realized that he could attack Luciano, the most powerful gangster in New York, through this prostitution network with the assistance of his aide David Asch. 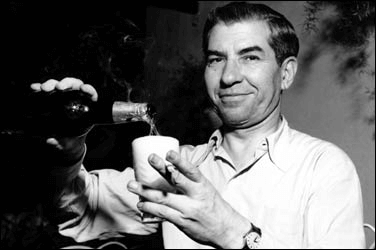 On February 2, 1936, Dewey launched a massive police raid against 200 brothels in Brooklyn and Manhattan, earning him nationwide recognition as a major "gangbuster". Ten men and 100 women were arrested. However, unlike previous vice raids, Dewey did not release the arrestees. Instead, he took them to court where a judge set bails of $10,000, far beyond their means to pay. By mid March, several defendants had implicated Luciano. Three of these prostitutes implicated Luciano as the ringleader, who made collections, although David Betillo was in charge of the prostitution ring in New York, and any money that Luciano received was from Betillo. In late March 1936, Luciano received a tip that he was going to be arrested and fled to Hot Springs, Arkansas. Unfortunately for Luciano, a New York detective in Hot Springs on a different assignment spotted Luciano and notified Dewey. On April 1, 1936, Luciano was arrested in Hot Springs on a criminal warrant from New York. The next day in New York, Dewey indicted Luciano and his accomplices on 60 counts of compulsory prostitution. Luciano's lawyers in Arkansas then began a fierce legal battle against extradition. On April 6, someone offered a $50,000 bribe to Arkansas Attorney General Carl E. Bailey to facilitate Luciano's case. However, Bailey refused the bribe and immediately reported it. On April 17, after all of Luciano's legal motions had been exhausted, Arkansas authorities handed Luciano to three New York City Police Department detectives for transport by train back to New York for trial. When the detectives and their prisoner reached St. Louis, Missouri and changed trains, they were guarded by 20 local policemen to prevent a mob rescue attempt. The men arrived in New York City on April 18, and Luciano was held without bail. On May 13, 1936, Luciano's pandering trial began. He was accused of being part of a massive prostitution ring known as "the Combination". During the trial, Dewey exposed Luciano for lying on the witness stand through direct quizzing and records of telephone calls; Luciano also had no explanation for why his federal income tax records claimed he made only $22,000 a year, while he was obviously a wealthy man. Dewey ruthlessly pressed Luciano on his long arrest record and his relationships with well-known gangsters such as Ciro Terranova, Louis Buchalter, and Joseph Masseria. On June 7, 1936, Luciano was convicted on 62 counts of compulsory prostitution. On July 18, 1936, Luciano was sentenced to 30 to 50 years in state prison, along with Betillo and others. Many observers questioned the pandering charges against Luciano. He almost certainly profited from prostitution and members of his crime family extorted money from madams and brothel keepers. However, like most bosses, Luciano created layers of insulation between himself and criminal acts. It would have been significantly out of character for him to be directly involved in any criminal enterprise, let alone a prostitution ring. At least two of his contemporaries have denied that Luciano was ever part of "the Combination". In her memoirs, New York society madam Polly Adler said that if Luciano had been involved with "the Combination", she would have known about it. Bonanno, the last surviving contemporary of Luciano's who wasn't in prison, also denied that Luciano was directly involved in prostitution in his book, A Man of Honor. Luciano continued to run the Luciano crime family from prison, relaying his orders through acting boss, Vito Genovese. However, in 1937 Genovese fled to Naples, Italy to avoid an impending murder indictment in New York. Luciano appointed his consigliere, Costello, as the new acting boss and the overseer of Luciano's interests. Luciano was first imprisoned at Sing Sing Correctional Facility in Ossining, New York, but was moved later in 1936 to Clinton Correctional Facility in Dannemora, New York, far away from New York City. At Clinton, co-defendant Dave Betillo prepared special dishes for Luciano in a kitchen set aside by authorities. Luciano was assigned a job in the prison laundry. Luciano used his influence to help get the materials to build a church at the prison, which became famous for being one of the only freestanding churches in the New York State correctional system and also for the fact that on the church's altar are two of the original doors from the Victoria, the ship of Ferdinand Magellan. Legal appeals of Luciano's conviction continued until October 10, 1938, when the U.S. Supreme Court refused to review his case. At this point, Luciano stepped down as boss, and Costello formally took over the family. By the early 1940's America was gearing up into getting involved in World War II which had already been raging for several years. In 1942 the French set a luxury liner named the SS Normandy towards New York so the United States could retrofit the ship for war. However, on February 9th a fire occurred while the ship sat in New York Harbor. Naval firemen tried to extinguish the fire but the damage was extensive and the ship eventually sank. Suspicion immediately fell on German spies and the US government realized the docks needed to be secure from all foreign activity. In order to do this they approached the mafia. First the government approached Joseph 'Socks' Lanza, ruler of the Fulton Fish Market with the request to secure the docks from foreign intervention. Lanza reported to Frank Costello who then reported to a jailed Luciano. The plan worked perfectly. According to Luciano in his book "The Last Testament of Lucky Luciano", he ordered the mafia to set fire to the Normandy in order to arrange the exact deal that was offered by the US government. A government report showed after the war that no Axis documents related to the incident and there was no evidence of criminal sabotage and they concluded it was an accident. This may have been a face saving move, or the truth, we may never know. However, with the mafia assistance at the time Luciano was moved from Dannemore prison to Sing Sing which was closer to his territory and power base. The operation was called Operation Underworld and was used to help commute Luciano's sentence. The United States military intelligence was aware of the many connections maintained between the Sicilian and American mafias. When the United States was planning on invading Italy they once again requested Luciano's help in landing troops and providing on the ground support for the troops once they landed. The Sicilians could also provide good military intelligence and in return reputedly used the mafia connection to eliminate resistance to the mafia on the island. In 1946 Luciano was released from prison after serving 9 and a half years of his 30-50 year sentence, however it was demanded he be deported to Italy and banned from the United States. In February Luciano held a massive celebration for his last day on American soil and in attendance were all of his good friends and associates that would continue the empire. In 1947 he flew to Cuba to host the Havana Conference, where he retook control of the American syndicate. It is said that Frank Sinatra, who also happened to be present at the hotel in Havana, was there so the police would not assume anything strange about their presence since they were just going to a concert of their favorite singer. At the meeting, the commission ordered the execution of Bugsy Siegel, who had cost the Mafia millions by opening the money-losing "Flamingo" casino in Las Vegas. When the US government learned of Luciano's presence in the Caribbean he was forced to leave immediately and return to Italy. The Havana Conference of 1946 was a historic meeting of United States Mafia and Cosa Nostra leaders in Havana, Cuba. Supposedly arranged by Charles "Lucky" Luciano, the conference was held to discuss important mob policies, rules, and business interests. The Havana Conference was attended by delegations representing crime families throughout the United States. The conference was held during the week of December 22, 1946 at the Hotel Nacional. The Havana Conference is considered to have been the most important mob summit since the Atlantic City Conference of 1929. Decisions made in Havana resonated throughout the US crime families for the ensuing decades. After Luciano's secret trip to Cuba, he spent the rest of his life in Italy under tight police surveillance. When Luciano arrived in Genoa from Cuba on April 11, 1947, he was arrested and sent to a jail in Palermo. On May 11, a regional commission in Palermo warned Luciano to stay out of trouble and released him from jail. In early July 1949, police in Rome arrested Luciano on suspicion of involvement in the shipping of narcotics to New York. On July 15, after a week in jail, police released Luciano without filing any charges. He was also permanently banned from visiting Rome. On June 9, 1951, Luciano was questioned by police in Naples on suspicion of illegally bringing $57,000 in cash and a new American car into Italy. After 20 hours of questioning, police released Luciano without any charges. In 1952, the Italian government revoked Luciano's Italian passport after complaints from U.S. and Canadian law enforcement officials. On November 19, 1954, an Italian judicial commission in Naples applied strict limits on Luciano for two years. He was required to report to the police every Sunday, to stay home every night, and to not leave Naples without police permission. The commission cited Luciano's alleged involvement in the narcotics trade as the reason for these restrictions. Despite the law enforcement surveillance, Luciano was able to greatly expand narcotics trafficking to the United States by Cosa Nostra, making it one of organized crime's most lucrative ventures. Between October 10 and October 14, 1957, Luciano oversaw a parley of more than thirty Sicilian and American Mafia leaders to draw up plans for the smuggling and distribution of heroin into the United States. According to Selwyn Raab, an investigative reporter for The New York Times, it was at the Luciano meeting, held in the Grand Hotel et des Palmes in Palermo, Sicily, that a plan was put into place through which Sicilians were responsible for distributing heroin in the U.S., while the American mobsters collected a share of the income as "franchise fees". Luciano's plan included a scheme to expand the tiny heroin and cocaine market in the U.S. by reducing the price and focusing on working class white and black urban neighborhoods. By 1957, Genovese felt strong enough to move against Luciano and his acting boss in New York, Frank Costello. He was aided in this move by Anastasia crime family underboss Carlo Gambino. On May 2, 1957, Costello was shot and slightly wounded by a gunman outside of his apartment building. 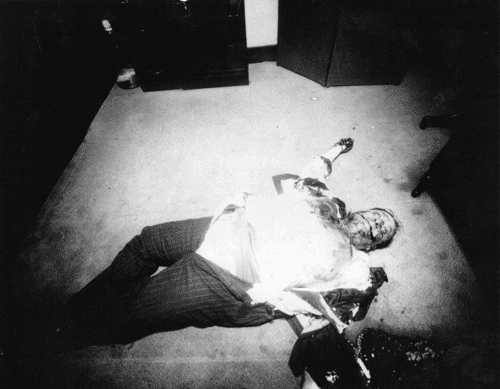 Soon after this attack, Costello conceded control of what is called today the Genovese crime family to Genovese. Luciano was powerless to stop it. On October 26, 1957, Genovese and Gambino arranged the murder of Albert Anastasia, another Luciano ally. Gambino took over what is now called the Gambino crime family. Genovese now believed himself to be the top boss in the Cosa Nostra. In November 1957, Genovese called a meeting of Cosa Nostra bosses in Apalachin, New York to approve his takeover of the Luciano family and to establish his national power. Instead, the Apalachin Meeting turned into a terrible fiasco when law enforcement raided the meeting. Over 65 high ranking mobsters were arrested and the Cosa Nostra was subjected to publicity and numerous grand jury summons. The enraged mobsters blamed Genovese for this disaster, opening a window of opportunity for Genovese's opponents. Costello, Luciano, and Gambino met in a hotel in Palermo, Sicily, to discuss their plan of action. In his own power move, Gambino had deserted Genovese. After their meeting, Luciano allegedly paid an American drug seller $100,000 to falsely implicate Genovese in a drug deal. 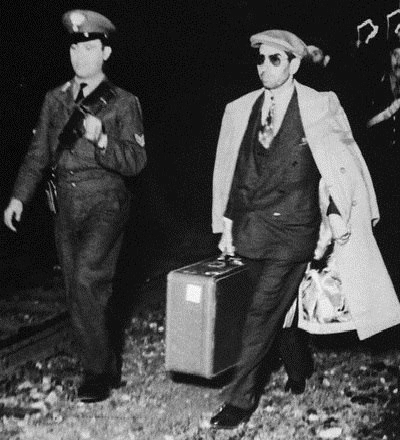 On April 4, 1959, Genovese was convicted in New York of conspiracy to violate federal narcotics laws. Sent to prison for 15 years, Genovese tried to run his crime family from prison until his death in 1969. Meanwhile, Gambino now became the most powerful man in the Cosa Nostra. On January 26th, 1962 Luciano died of a heart attack at the age of 65 at the Naples International Airport. Luciano was going to meet with American cinema producer Martin Gosch about a film biography. After his meeting with the producer he suffered a heart attack and died. As Luciano was unaware, there were also Italian police that had tracked Luciano to the airport in order to arrest him on drug smuggling. Three days after his death there was a massive funeral held for Luciano in Naples, Italy. Over three hundred people attended and he was brought down the streets of Naples in a horse drawn black hearse. After the service his family took his body back to New York for burial with the governments permission. Luciano was buried in St. John's Cemetery in Middle Village, Queens. At his funeral in America he had over 2,000 followers and the Gambino Crime Family boss Carlo Gambino even gave him a eulogy. Luciano Carlo Gambino was the only other boss besides Luciano to have complete control of the Commission and virtually every Mafia family in the United States. In popular culture, proponents of the Mafia and its history often debate as to who was the greater between Luciano and his contemporary, Al Capone. The much publicized exploits of Capone with the Chicago Outfit made him the most famous mobster in American history, but he did not exert influence over other Mafia families as Luciano did in creating and running The Commission. For being the Mafia hegemon in the era of landmark mobsters like Albert Anastasia, Frank Costello, Meyer Lansky, Bugsy Siegel, Tommy Lucchese, Carlo Gambino, Vito Genovese and Joseph Bonanno all of whom he led, Luciano is considered by many to have been the most powerful American Mafia boss of all time. In 1998, Time magazine characterized Luciano as the "criminal mastermind" among the top 20 most influential builders and titans of the 20th century.